To drive sustainable growth brands need to have a very detailed view of their shopper's perspective. Collating and organising shopper's reviews from multiple sources is a powerful tool enabling almost real-time actionable insights. Companies that are adaptable are able to remain relevant to their shoppers over time and be a resilient organisation. By quickly pivoting NPDs and even your entire business model according to shopper feedback, you can still grow revenue while testing public response until the product fit is perfected, or even evolve a failed product into a successful re-launch. Delighting shoppers is an essential goal of any business. Listening to the shopper’s voice is the only way to work out what the market wants and if your product can fulfil this need. Yet this crucial task is often seen as the sole responsibility of the sales and marketing teams, instead of being taken seriously at a strategic level. If the market evolves and a company fails to move with it, even established businesses like Virgin Megastore can famously lose their way if they stay static when the market changes around them. If a consumer goods company can understand the shopper and can adapt to the rapid changes in the market, then they can stay relevant, can innovate and reinvent themselves to lead in their categories. Listening to and learning from the shopper’s voice is a fundamental element of success. As Brian McBride, Chairman of ASOS and of AO.com, said at this years Retail Business Conference, “companies either evolve or die”. Being agile enables business’ to respond quickly to feedback. If your product isn’t resonating with the target demographic, there might be an untapped opportunity in that failure. The phenomenally successful mechanical lubricant WD-40 created in 1953 got its name from being the first version to work after thirty-nine previous incarnations proved to be failures and were eventually perfected by incremental improvements. The creators kept going back to the drawing board to get the product right. Eventually through trial and error they created something that resonated with the shopper, the mechanical lubricant is now famous worldwide for having infinite uses. In the current landscape, this development process has become easier and faster than ever before. Due to the hyper-connectivity of the internet, immediate feedback on your category and the product are available. Where in the past field sales reps would hand out questionnaire leaflets at the retailer exit, taking a small poll of only a handful of local stores, now you can access the online reviews of all demographics in all locations of shoppers. It is not just eCommerce that benefits from availability of shopper feedback. Review websites and social media gather the opinions of shoppers for any product or service from any store. With channel-blind modern shoppers buying from whatever store or website is most convenient for them at that time, and ROPO (research online purchase offline) having a huge effect on in-store sales, this is vital information to access and understand. In fact, companies engaging properly in the digital world now have the opposite problem to in the past, in that they have too much shopper feedback to sieve through. What they require to make the most out of this wealth of information is the ability to collate, organise and analyse the feedback, to discover actionable insights to make a difference. There have been famous examples of companies that have benefited hugely from listening to the shopper’s voice and being alert enough to pivot their focus to meet customer demands, but there have been many more infamous high-profile failures, where stubborn companies with tunnel vision have ignored feedback from the market to launch products no one wants to buy. We will look at two examples of each case, to see how listening to the shopper’s voice can direct businesses to success and also how failing to listen is a recipe for disaster. Wrigley's, founded in 1891, is a perfect example of a business being nimble enough to react to shopper feedback and change focus to grow rapidly. William Wrigley Jr originally sold soap in Chicago. In a promotion to boost soap sales, he started offering free baking powder as a free gift. The baking powder proved to be so popular with shoppers that he stopped making soap and transitioned to selling baking powder instead. The gift with each purchase had proved so successful with his previous soap business that William Wrigley Jr tried the same promotion again, this time offering a free gift of chewing gum with each purchase of his baking powder. Once again the gift was more popular with shoppers than the product, so Wrigley listened to the shoppers feedback and changed the business again to focus on selling chewing gum, launching Spearmint and Juicy Fruit brands in 1893. Over 125 years later, Wrigleys is still selling chewing gum, with revenue of $5.4 billion (£4.15bn) a year in 2008 when it was acquired by Mars for $23 billion (£17.69bn) to merge and form Mars-Wrigleys, a confectionery behemoth with a revenue of $35 billion (£27bn). 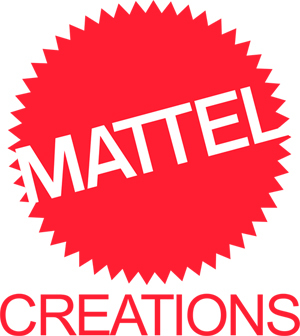 Mattel, inc is a global toy manufacturer with a revenue of over $5 billion (£3.9bn). But the company began in the 1940s as a picture frame manufacturer, with founders Ruth and Elliot Handler and Harold Mattson hand making the frames in the Handler’s garage. With some of little scraps of leftover wood, Elliot Handler made miniature furniture for a dollhouse. The dollhouse furniture was an immediate hit. Listening to feedback from the enthusiastic shoppers and seeing the market opportunity, the Handler’s persuaded their partner Mattson to change focus to be a toy company. Mattel launched the Barbie brand and the talking doll Chatty Cathy, which both became phenomenal hits with shoppers, driving growth of the company to the level of success today where Mattel is one of the world’s largest toy companies. In both of these famous examples, the whole business pivoted to fill a niche that had been discovered through listening to shopper feedback to understand the market. Both Wrigleys and Mattel were manufacturing something else, a product they thought that shoppers would want. It turned out shoppers were not interested in the products the brand owners thought they would be, but instead like another element of the business. Both companies listened to what the customers wanted and were able to evolve to meet that demand. Not all companies are as responsive to the shopper’s voice to adapt to succeed in the same way as Wrigleys and Mattel. There have been some recent high profile examples of companies who have tried to impose their NPD into a market which didn’t really want it. Juicero is high profile failure that came to symbolise out-of touch Silicon Valley venture capitalists. Juicero raised $120 million (£92.3m) in start up capital to create pre-prepared sachets of smoothies and a $400 (£308) squeezing machine to turn the sachets of fruit and vegetables into a drinkable smoothie. The company initially received rave reviews from industry specialists like Google Ventures and the New York Times, but when the expensive product encountered the public, their reaction was very different. The product was so universally despised that it became an object of ridicule, highlighting tech companies and investors creating solutions to problems that don’t exist. The negative shopper feedback caused the product to be delisted and the company to close after only sixteen months. Shoppers of Juicero were distinctly unimpressed with two elements of the product. Firstly, that the juice squeezer was connected to the internet in order to refuse to squeeze sachets that had gone past a best-before date. This took away the agency of the shopper to decide for themselves whether they want to consume a product slightly over its best-before date. In the context of an increasingly waste conscious market, forcing shopper to throw away products they had bought was not well received. But the revelation from shoppers that killed the company, was that the $400 machine was completely pointless, as the sachets could be squeezed by hand. The company and the investors had created a redundant product. They had not consulted shoppers to find out if they would want to buy. If they had they would have known that the market would not respond positively to inforced wastage, and that shoppers would certainly not spend $400 on a machine to squeeze sachets when they can more easily use just their own hands. Another high profile and expensive product failure was Google Glass. The concept of the product excited futurists and technophiles all over the world when it was announced in 2012; a voice activated wearable computer with augmented reality that displays a screen for the wearer, as well as enabling point of view filming and photography. But the creators at Google forgot a crucial part of any new product development; they did not consult to public further afield than their own technology friendly bubble. They assumed that everyone would think the product was as clever and innovative as they did. However they were wrong. Google Glass was launched to the public in 2014 but by lasted less than a year on the market. Google withdrew the product from sale in January 2015. Google Glass failed spectacularly for a number of reasons, all of which would have been obvious if the company had consulted shoppers before getting carried away with their own ingenuity. The practical uses of the product had glaring roadblocks: the primary problem was that it made people feel uneasy due to the constant filming being perceived as privacy-violating and intrusive. An immediate divide was created between the early adopters who purchased and wore the Google Glass, and the rest of the public, who resented being filmed without their consent. This was exacerbated by socio-economic factors, creating a them-vs-us dynamic between people who could afford a $1,500 (£1,150) novelty gadget and those who could not. Wearers of Google Glass began to be referred to by the cruel nickname “glassholes”, and were perceived to look down on those who disapproved of the controversial product as not moving with the times. The second glaring issue with Google Glass, was that it was bulky and awkward. The innovation to miniaturize a voice activated computer and cameras to fit into a pair of glasses was incredible, but it was not small enough. The customers had to walk around with very conspicuous and expensive technology on their face, making them feel like targets for robbery. Both Wrigley’s and Mattel were able to evolve their business model to adapt to the potential market opportunities based on what they learned from listening to the shopper’s voice. However both Juicero and Google Glass failed due to putting all of their efforts and investment capital into huge product launches, before asking shoppers if they were interested in purchasing the product. There is a simple but very valuable lesson to be learned, which Google themselves have now taken note of and adapted. They have learned from their initial product launch failure, and like both Mattel and Wrigley’s they have evolved their concept to try again. Google realised that having a brilliant product is not enough, there has to be a market for it, which can only be discovered by asking the shoppers that constitute the market. This is exactly what Google has done for their quietly developed Google Glass Enterprise Edition, which solves a business problem where there is real demand, improving productivity in industry. This time through identifying who their shoppers could be, and asking their potential customers what problems they experience, Google can apply the technological capacity of their product to provide solutions. By positioning their product as a solution to an existing problem, they can be the market leader in an expanding market. It is estimated that by 2025 there will be 14.4 million workers in the US using smart glasses. Google will be hoping that like Mattel and Wrigley’s, their shift in focus based on feedback from the shopper, they will be now perfectly placed to benefit from steady growth fuelled by many years of selling products that their shoppers love and want to buy. Learning from shopper voice is 1 of the 8 Fundamentals to success in online retail. The Customer Success team at E Fundamentals are all sales and marketing veterans, who know the importance of Listening to the feedback from shoppers. Get in touch today to talk about how you can collate all of the feedback and reviews of your products across all retailers, so that you can benefit from learning from the shopper's voice.